Many of us ship or mail our gifts from the kitchen. Whether you are sending your package a short distance or out of the country, here is some advice to help get your package and its yummy contents to the final destination the way it was intended. Do not mail highly perishable foods such as soft cheeses or meats. Cured dry sausages and hard aged cheeses are fine. Firm baked goods are best, such as cookies, candies, flavored nuts, fudge, bread, unfrosted cakes, and muffins, chutneys, and preserves. Be sure bottled and canned items are tightly sealed in thick containers that won't break easily. 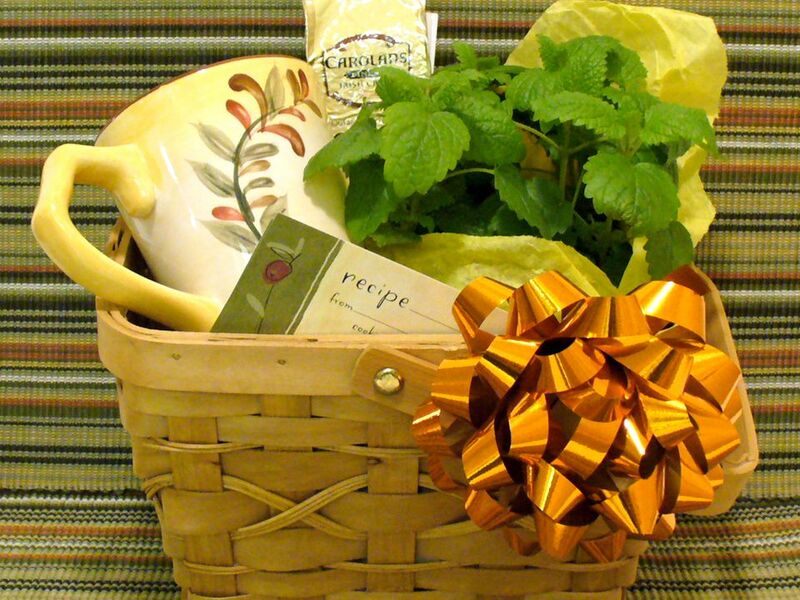 Foods should be sealed in an airtight wrap before putting them into the gift container and the final shipping box. Wrap moist foods separately from crisp ones to preserve their textures. Pack cakes snugly into tins. Put homemade confections in individual bonbon cups or papers, layered and separated with waxed, parchment, or butcher's paper. Leave no headroom in the container. If necessary, fill unused space with crumpled wax paper. Pound cakes and loaf breads can be baked and shipped in disposable foil pans after being sealed in plastic wrap. When shipping more fragile bottles of oils or vinegar, make sure they are tightly sealed. Place inside a plastic zip-top bag, leaving it full of air for added cushioning. Further, protect the bottles by wrapping in bubble wrap. Once all individual items are tightly sealed, place into a sturdy carton for shipping. Use popped corn, wadded up newspaper, bubble-wrap, styrofoam or cornstarch pellets to pack completely around any glass items. Line the shipping box with a large plastic bag before packing, use popped corn for the packing, seal the bag, and the recipient can enjoy the popcorn packing as an added treat. If shipping more than one item, place heavier items at the bottom. Be sure there is ample space between each item, with packing surrounding each on all sides. Shake the box down to be sure there is no headspace left unpacked so the contents will not shift. Use a waterproof marker on your shipping address and return labels. Print address and return labels in clear, large print and secure to the container with clear tape. Do not trust self-sticking or glue labels to stay in place. Ship all food gifts via the fastest method possible.